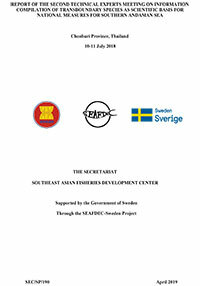 In order to deepen the better understanding between Japanese researchers and AQD on the sustainable development of aquaculture in Southeast Asia, the 2018 SEAFDEC Aquaculture Technical Support Meeting was convened 11 September 2018 at the National Research Institute of Aquaculture (NRIA) of Japan Fisheries Research and Education Agency (FRA) in Mie Prefecture, Japan. In attendance were representatives from FRA, Fisheries Agency of Japan (FAJ), Japan International Research Center for Agricultural Sciences (JIRCAS), Marino-Forum 21, Mie University, NRIA, SEAFDEC Aquaculture Department (AQD), SEAFDEC Secretariat, and Tokyo University of Marine Science and Technology (TUMSAT). The Meeting, which highlighted on exchanging and sharing of information between AQD and the various fishery R&D institutions in Japan, also aimed to boost the support of the Government of Japan to AQD in the years to come. 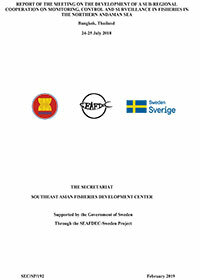 For SEAFDEC/AQD, its role in Achieving on Food Security through Aquaculture Research, Capacity Building, and Information Dissemination is being sustained through the development and promotion of technologies on the sustainability of aquaculture anchoring on the Priority R&D Programs of AQD which aim to promote the sustainable development of aquaculture in the Southeast Asian region, and ensure that the aquaculture techniques and production systems developed are environment-friendly and socially equitable. 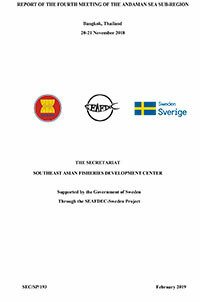 Examples of such endeavors are two projects carried out by AQD with funding support from the Japanese Trust Fund. The “Application of Adjutants, Carriers and RNAi Technology to Enhance the Antiviral Immune Response of Shrimp to WSSV” evaluated the efficacy of the double-strand RNA (dsRNA) treatment in protecting shrimps against the white spot syndrome virus (WSSV). In addition, the scheme using combination of rVP28 vaccine and VP28 dsRNA treatment, and a practical method of delivery for rVP28 and VP28 dsRNA treatments are being developed. 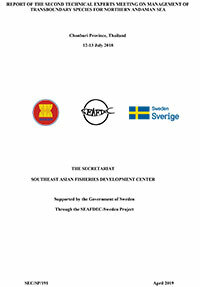 This is very crucial for the sustainability of the shrimp industry in the region, which at one time had been almost completely devastated by the severe incidence of WSSV. On the other hand, the “Promotion of Resource Enhancement of Seahorses” has demonstrated not only the appropriate release and monitoring strategies of seahorses for resource enhancement but the involvement of a community in the management of the natural resource is also being enhanced. On the part of the academe and institutions in Japan, the technical support of TUMSAT to AQD comes in the form of assistance in the research on shrimp diseases and seed production of aquaculture commodities. Such support is being carried out through the core-to-core program of the Japan Society for the Promotion of Science (JSPS) as well as through the Science and Technology Research Partnership for Sustainable Development (SATREPS) Program. JIRCAS also supports the efforts of AQD in promoting technological advancements through its program that aim to enhance international collaborations in the field of agriculture, forestry and fisheries (AFF) research. 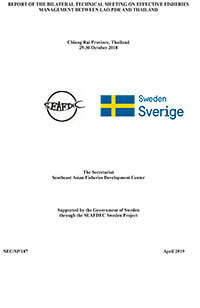 This is part of the comprehensive experimental research of JIRCAS in AFF and related industries in tropical and sub-tropical zones of developing regions to provide solutions to global environmental problems, food insecurity, and extreme poverty for the future of AFF in the developing world. 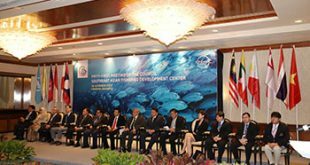 Marino-Forum 21 also undertakes activities relevant to the efforts of SEAFDEC in attaining sustainability in fisheries development, which are being promoted by providing assistance in building the capacity of the Southeast Asian countries in the sustainable development of fisheries and aquaculture. After the information sharing, AQD was assured that FRA would continue to maintain contact with the various experts in Japan in order to respond to the requirements of AQD. Specifically, FRA would be coordinating with NRIA for the exchange of expertise and information on the recent developments in aquaculture. 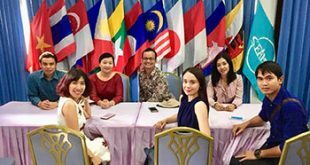 The Meeting was therefore crucial for the continuity of the exchange of expertise and information on aquaculture for the benefit of the Southeast Asian region. 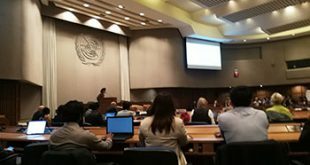 Through the exchange of experiences and relevant information, strong support and collaboration had been demonstrated by the researchers in Japan through FRA and the Southeast Asian countries through AQD.